Posing with Sir John, no less! 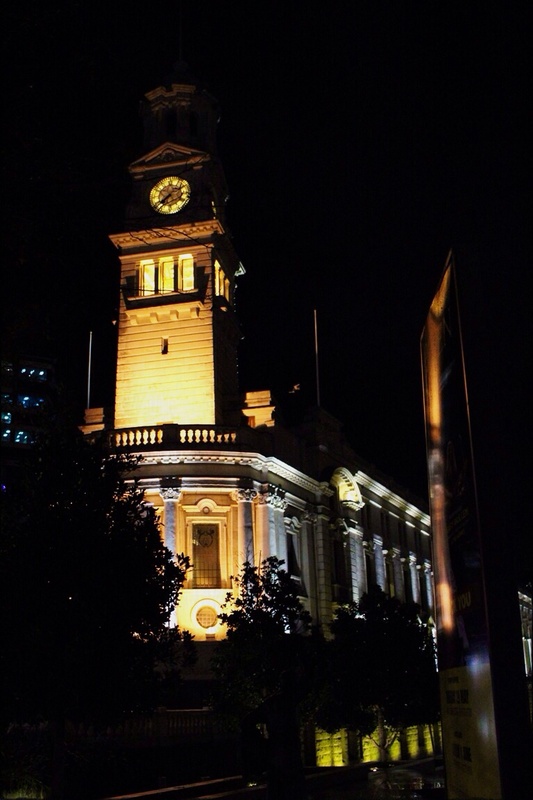 Auckland Town Hall; opened in 1911 and one of the city’s most distinctive (and loved) buildings. Photo: Su Leslie 2014. Shot with iPhone4. A couple of weeks ago I arranged to meet my son in town for dinner. I’ve written about the drama of travelling the one kilometre to our meeting point, and how stressful I found being in gridlocked traffic for around an hour. However, on the bright side, I did manage to snap a few photos along the way. 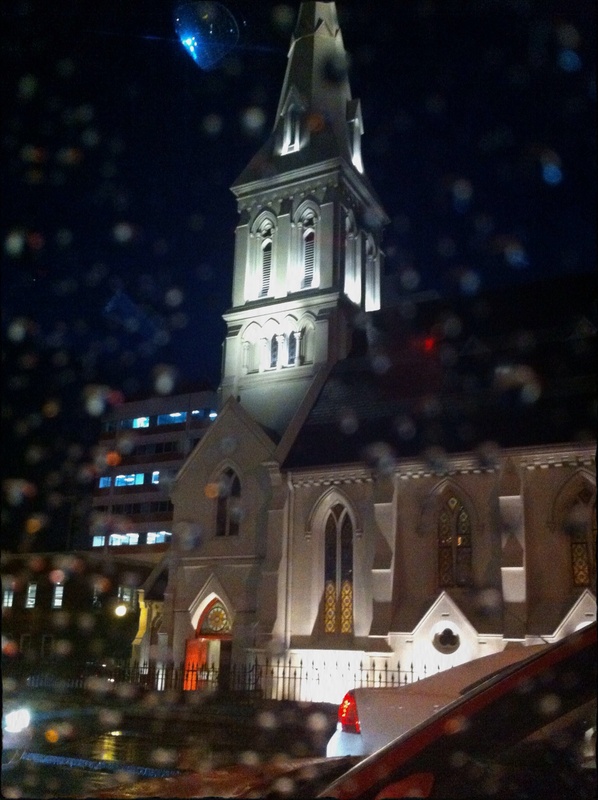 St Patrick’s Cathedral, Auckland. Opened in 1908 this is the Cathedral of the Catholic Bishop of Auckland. Photo: Su Leslie, 2014. Shot with iPhone 4. I spent about 20 minutes travelling along Wyndham Street and couldn’t help noticing how peaceful and welcoming the church appeared; lit in white and gold against an inky sky. 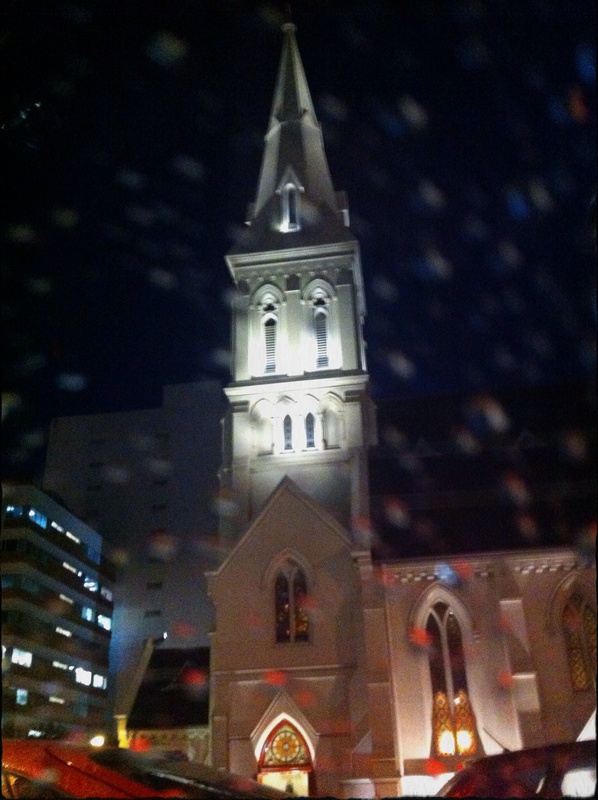 St. Patrick’ Cathedral, Auckland. Warm and welcoming on a cold, wet night. Photo: Su Leslie, 2014. Shot with iPhone4. Once the most prominent buildings on the landscape were religious or civic structures. Now we celebrate capitalism with ever-taller towers and apartment blocks. 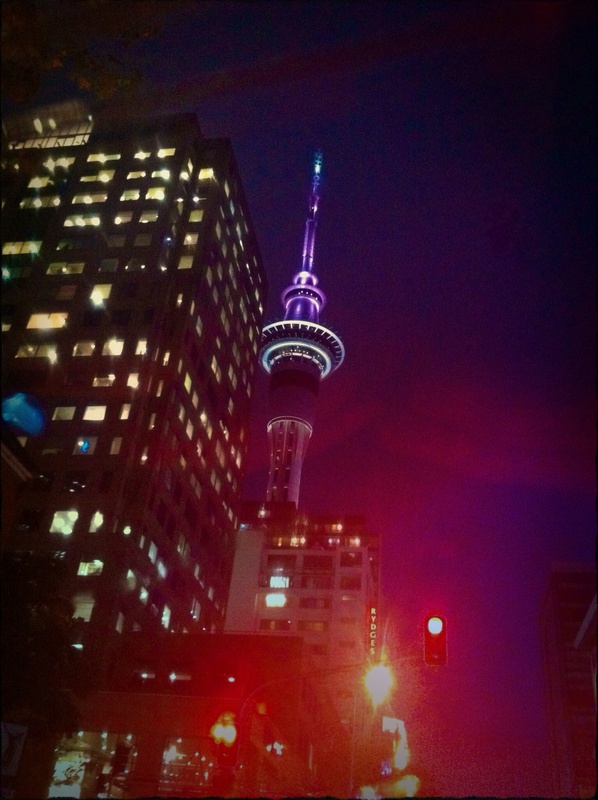 I do like the way the Sky Tower changes its colour scheme though. The purple felt very reassuring as my car crawled up Hobson Street. Auckland’s SkyTower. The tallest free-standing structure in the Southern Hemisphere according to Wikipedia. Photo: Su Leslie, 2014. Shot with iPhone4. This week is Challenger’s Choice at Sally’s Phoneography and Non-SLR Digital Devices Photo Challenge. I’m not sure quite how to categorise my contribution; it is architecture, shot at night, from the street . They could have been travel photos, but I wasn’t travelling too much, so maybe still life would be a better description? The last leaves. Photo: Su Leslie, 2014. I’ve lived in my house for 14 years, one month and three weeks. That’s the longest I’ve ever lived in any one place – over three times longer in fact. When I was a child my family moved frequently; by age sixteen I had lived in eight houses in three towns in two countries. My son has lived in three houses in two countries – two of them between birth and age two. He’s sixteen now. This neighbourhood is a living map of my son’s life. Even the office in which I sit to write this was his bedroom for the first few years. 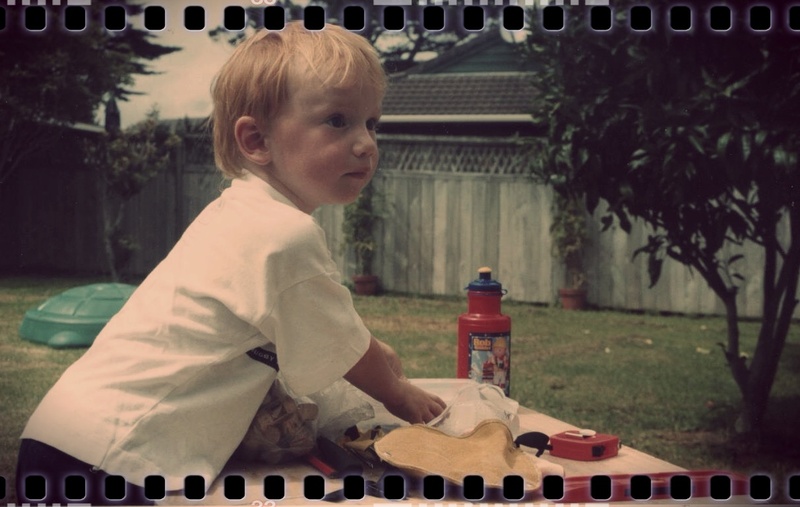 We chose this house – over any of the other 40 or so that we viewed – because it had an enclosed back yard, visible from the kitchen window, where a small boy could play in his sandpit, ride his trike or use the mini-workbench and tools he so loved. The large flat front lawn has been perfect for impromptu games of soccer and rugby with the other children in our neighbourhood. The boy-child in our backyard. He loved his workbench and tools. Photo: Su Leslie 2001. Because this is a family neighbourhood. The local primary school has educated several generations of locals, there are parks, nature reserves and a thriving PlayCentre community. When we moved in, the first generation of children had grown into teenagers and we endured a few noisy parties before those families began moving out, to be replaced with others in the same stage of the family life-cycle stage as us. 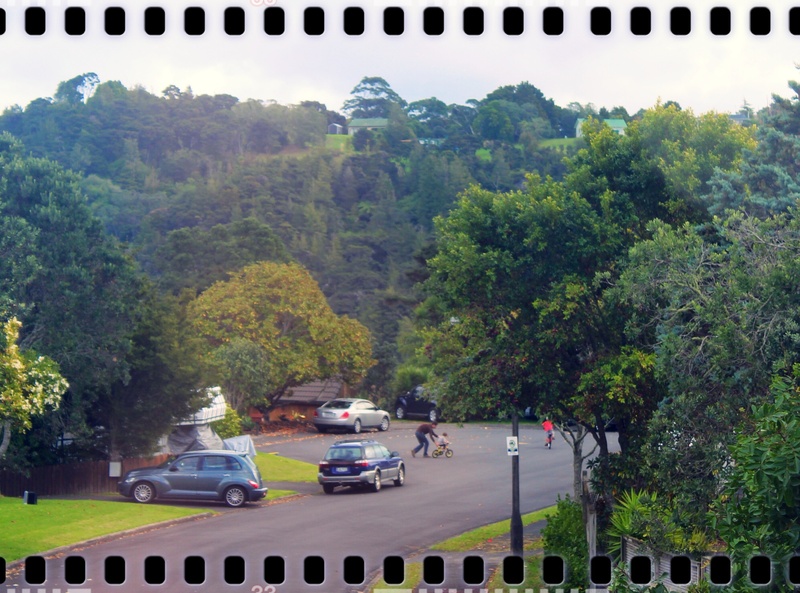 Next door, across the road, in the cul de sac opposite – over the years the neighbourhood has filled with children around our son’s age. As I write this, I’m watching a man help his child learn to ride their first bicycle in exactly the place we took the boy-child when he got his first bike. How many children have learned to ride a bike on this quiet street? Photo: Su Leslie, 2014. We live in a cul de sac; at the end of which are a couple of walkways. One leads to the main road, shops and bus stop – the other to another set of cul de sac. This is a village on a tiny peninsula on the edge of a city. Although I can’t see it because of trees and houses, a branch of the upper Waitemata Harbour lies about 500 metres from my house. 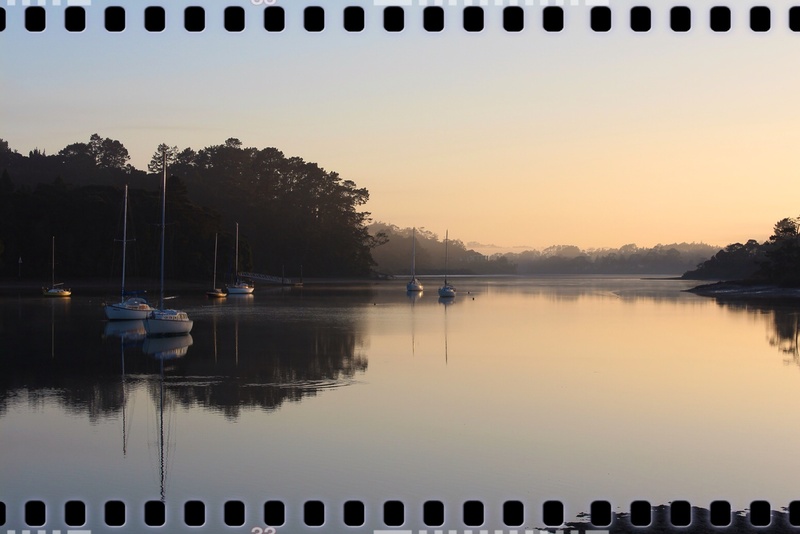 A few hundred metres from my house, the upper reaches of the Waitemata Harbour. Photo: Su Leslie, 2014. Later, when the boy-child went to the local primary school, we took a different route; past the War Memorial Park (which doubled as a soccer training ground). Every day he would walk along the top of the fence and I still instinctively want to reach out and grasp a small hand at the places where the fence rails are wobbly. These days his urge to balance on a fence-top has been replaced by one to skateboard down the – usually quiet – road. I preferred the old days. Our village has changed so much in 14 years. The petrol station has gone- demolished along with the old local store to be replaced by a parade of shops and other businesses. The store itself is larger, brighter and has a better layout, but I miss the old days when it seemed as though – come the end of the school day – half the village would cram itself into that tiny, dark Aladdin’s cave to buy the kids an ice-cream and catch up with the neighbours, the soccer mums and that woman from the PTA whose name I could never remember. Playdates were organised, lunches arranged and babysitting arrangements made in the tiny aisle between cat food and toilet cleaner. In our early days here, I often seemed to find myself half way through cooking dinner when I’d realise I’d run out of something. 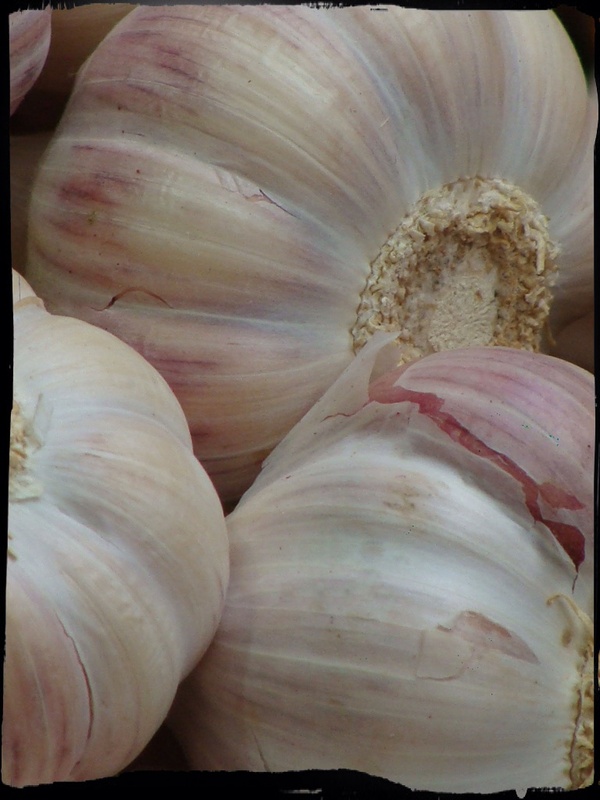 I’d phone the local shop, and somehow they always had one tin of coconut cream or one bottle of rice vinegar – or whatever it was I needed. I’d arrive a few minutes later to find it waiting for me on the counter. The local store had served the community for generations. Now demolished and replaced with something bigger and brighter — but still the village hub. Photo: Michelle Keller. This year, we have begun to seriously talk of selling the house and leaving the neighbourhood. The boy-child attends school in the city and – despite a brand new skatepark opening in the village – his time is largely spent elsewhere. He will finish school at the end of this year and a new phase of his life will begin. Houses are being bought and sold again and the neighbours we have been closest to have all moved on. Once again the street is full of strollers, tricycles and kids starting primary school. Ours hasn’t quite turned into the noisy party house, but I can’t help feeling we aren’t far off. 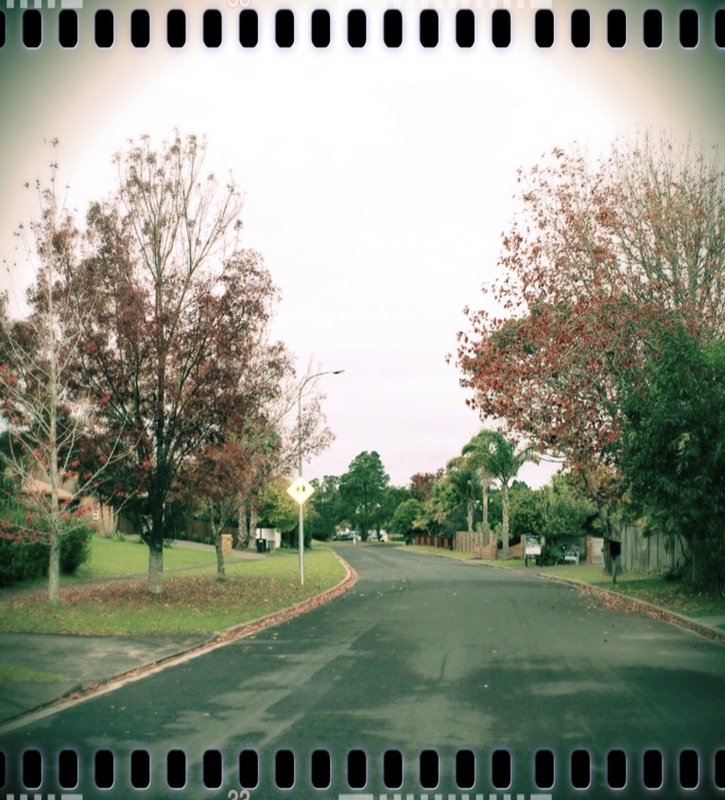 So it is time to go; to seek new parks and pavements and to imprint new memories on new everyday places. The Daily Post Writing Challenge asked us to look at our neighbourhood with new eyes and for me that has involved re-living so much of my son’s childhood. I didn’t realise how much I would enjoy that. 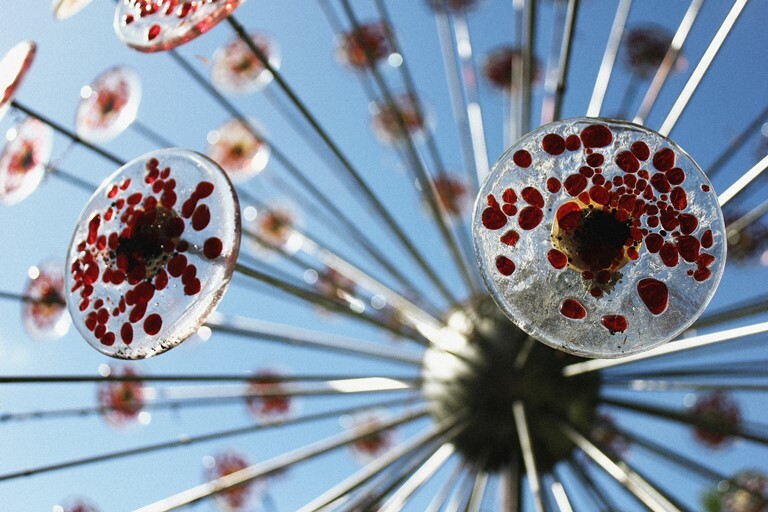 Sally Tagg, Pollen Hybrid, 2008. Exhibited at NZ Sculpture OnShore in 2008. Photographed in its new home in a private collection. Photo: Tom Gray: 2013. While it’s true that we can experience art anywhere, in anything we find beautiful or moving, I have a particular love of the fine arts. I am most passionate about sculpture and film, and am incredibly lucky to work with an arts organisation. I help organise NZ Sculpture OnShore, a biennial sculpture exhibition which raises funds for New Zealand Women’s Refuge. This stroke of luck means I am able to experience wonderful “expressions and applications of human creative skill” on an almost daily basis. My role within the organization is to market the event; to bring as many people as possible through the gates to view and enjoy some of the best contemporary New Zealand sculpture. The equation is simple: more visitors = more money. More money means more that Women’s Refuge can do to help women and their children escape from abusive relationships and build new, better lives.